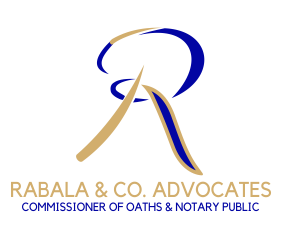 Rabala & Company Advocate is an innovative, specialized, and flexible law firm specializing on commercial and corporate law, tax consulting and legal consulting. We strive to deliver quick and reliable legal, advisory and representation advisory services to our clients. We tailor our services to the unique needs and precise requirements of the client and always offer a comprehensive, sound, logical and accurate solutions and advice and solutions that the clients can, with confidence, rely on and use. Our performance is unmatched and exemplary and is accompanied with a competitive pricing policy. 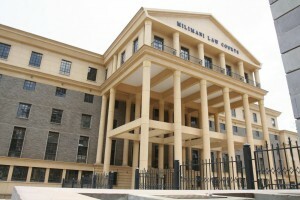 We are a unique law firm: innovative and specialised. A key strength of our team is the diverse and depth of expertise in their fields. Our Firm has a combination of talents which include highly trained lawyers, certified public secretaries, accountants and tax experts. Our people utilise their skills, knowledge and experience as well as working as a team to provide up to date advice. Our mission is to deliver services exceeding our clients’ expectations by striving to obtain the best possible outcome for our clients, bearing in mind that clients have unique needs and specific circumstance. To achieve this, we ensure we have a skilled, experienced and knowledgeable legal team, apprised of changes in the Kenyan legal landscape and committed to employing most effective legal strategies. To be a global leader in meeting the legal and tax needs of businesses, individuals, governments and Non-Governmental Organisations. Professionalism: we strive to find optimal solutions for our clients. Overall, act diligently, honestly and with integrity. We strive to build and maintain a mutual beneficial relationship characterized by honest, integrity, trust and confidence.